In the past few years there has been a steady rise in aggression issues with dogs where both people and dogs are the target. Unfortunately, in the majority of these cases it really is not the dogs fault, but they get the blame none the less. Most of the time, this is an owner or handler problem or in some cases a new owner who adopts a dog out of the goodness of their heart and inherits this problem. It all boils down to one common denominator, the lack of structure or proper leadership in the relationship between a dog and its owner or owners. 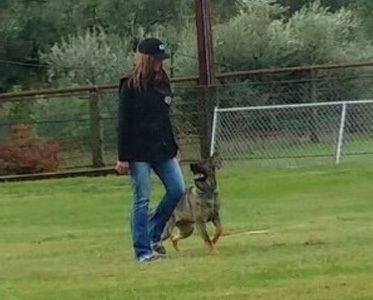 Sierra Canine is one of the very few dog training companies that are not only willing, but have the knowledge and experience to specialize in the rehabilitation of aggressive dogs. After twenty plus years of handling and training dominant police service and personal protection dogs, we can teach you how to earn the respect and change your current relationship with your dog in a non confrontational way. This has nothing to do with yelling and screaming, it’s the exact opposite. It’s about being calm, assertive and communicating with your dog it terms of black and white.